Currently the viewer has no Status Bar. The choices of Rate are limited. My suggestion is to replace this method, with the method used by media players. 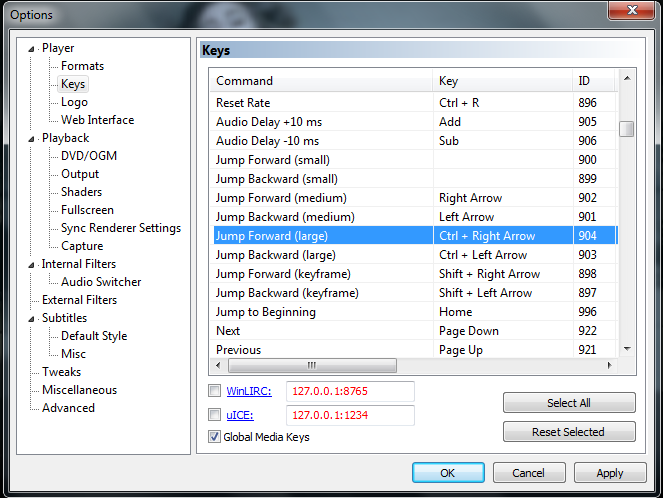 The user will have (in "Options…") several various jump settings. The current Slideshow Rate and the current Animation Rate will be displayed in Status Bar. The changes the user does by the jumps/rate hotkeys are reflected in the Status Bar. Time gets priority here. The program must be on time. If there is a problem due to Quality/Speed, the image won't be displayed correctly (Time priority), or the User/Program will make the Quality lower (by converting/compressing the images. I don't know…). It is highly recommended to give the user the ability to set it up. The user will use the Mousewheel up/down for the first action (Next image / Previous image). When the user wants to use the second action (Zoom in / Zoom out), he will click on the MiddleClick and then will use the Mousewheel up/down for Zoom in / Zoom out. Another click on MiddleClick will make Mousewheel up/down works again as Next image / Previous image. It's highly recommended that the zoom will work in such a way that the same dot under the cursor in the beginning is the same dot under the cursor at the end. So that if the user wants to get a closer look at something in the picture he will point on the object using the cursor and then Zoom In, and so he will be able to look at the enlarged object where he pointed. Each subfolder can be treated as a group. Next Subfolder and Previous Subfolder commands. Slideshow and Animation rate will include also Negative rate (for backward/reversed Play - from the end to the beginning). Playlist location as submenu is too deep and uncomfortable. It should be as a parent menu IMHO. 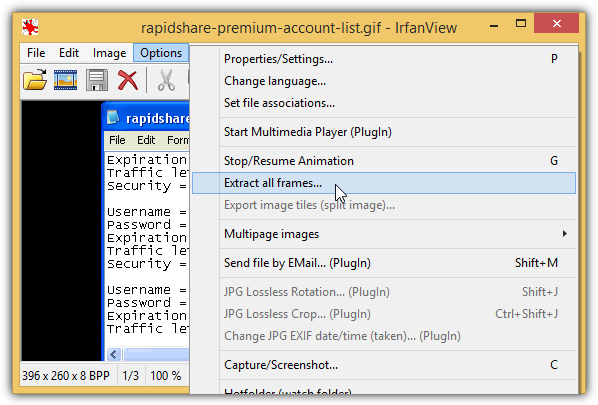 IrfanView lets you to extract the frames of a gif file. The idea is that the user will use Windows Explorer (and other tools) features for making the real editing. VoidImageViewer here has an important role since it can be used to view/play the separated frames files (jpgs) as if they were one animated Gif file. In this case, the slideshow is actually used as a Preview of Gif Maker. In this way the user will be able to: split/join gif, rotate gif, remove frames from a gif and so on by Windows Explorer features (move/copy jpgs, rotate jpgs, delete jpgs…). In the same way voidImageViewer can create a CSV file while extracting all Gif frames. This CSV file will include settings of the Gif file like Filenames and Rate columns, in such a way that the user will be able to set the time delay between the frames. Presets (Hotkeys for user defined slideshow/animation rates) are for future. Last edited by Stamimail on Mon Jan 15, 2018 5:44 pm, edited 7 times in total. I have been working on voidImageViewer. I am considering an optional status bar and control bar. I will most likely add a custom option to the slideshow/animation rate list so users can specify custom delays in milliseconds. Ctrl + Left / Ctrl + Right will be the default keyboard shortcuts for next/previous animation frame. Ctrl + Up / Ctrl + Down to adjust animation rate. Ctrl + Space to play/pause animation. The same dot under the cursor feature is especially needed in Zoom In rather than in Zoom Out. I thought about related idea inspired by Snap2IMG program. The Preview window of Snap2IMG gives a new idea for Image Viewer app - viewing photos by scroll. It gives an effect of kind of slideshow. In the context of voidImageViewer it can be even more powerful. Slideshow Rate controlled by jumps hotkeys can control and determine the speed of the auto scroll. It can be with or without a scroll bar. A scroll bar can let the user to scroll forward/backward manually through all the photos. Without scroll bar for full screen. Should be also added to right click on image. which means that the user can add another programs to "Open with >" . 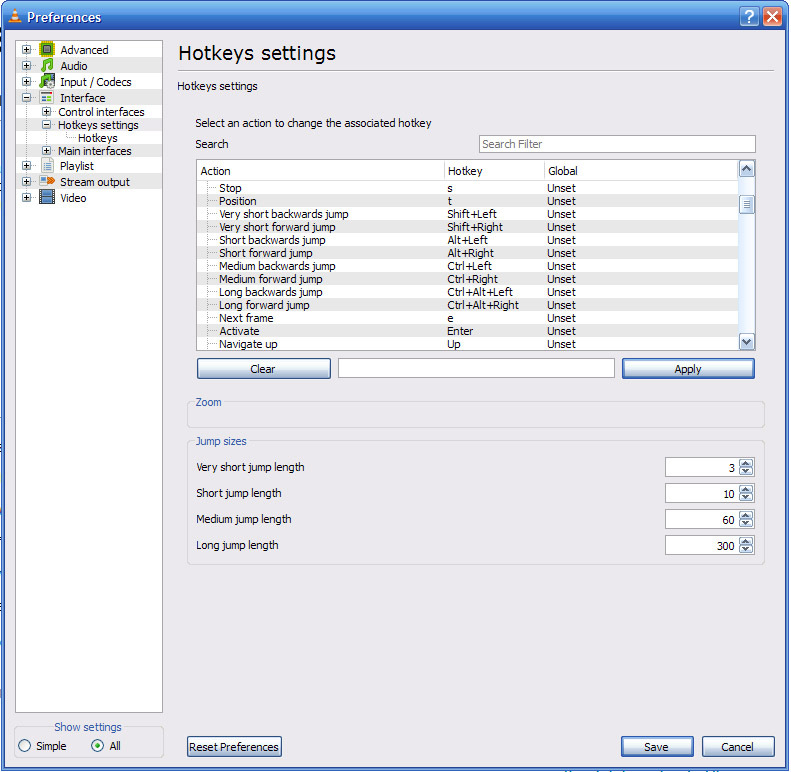 When you play slideshow (Hotkey: space), the selection in File Explorer (navigation pane) is steps and advances according to the advancement of the pictures in the slideshow. The way this feature works currently in nomacs it's not perfect IMO and needs some improvements, but the idea is to be able to navigate (skip to image or folder in the slideshow playlist) not only by a list (as currently in voidImageViewer (Navigation > Playlist)) but also by TreeView. When dropping files from Explorer and the like, sometimes you want the order/sort to be like the source. Suppose you sort images in Explorer by dimensions, when you drag them and drop in voidimageviewer you will want to have the same order/sort as the Explorer.